After writing my long mascara comparison post, I thought it would be fun to talk about mascara in general. 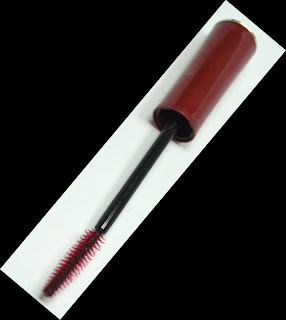 This is the wand of a CoverGirl LashBlast Lash Exact mascara. I know they make real lash combs (Google it!) but I've seen metal lash combs and they look like torture devices. This one suffices for me, although it's best to wash it frequently as the dried mascara that gets on it will flake onto the lashes you are separating if you let it build up on the wand too much. Speaking of the CG Lash Exact mascara, the mascara itself was good but not great. I had a little trouble with flakiness and I thought that while it was defining, it wasn't necessarily volumizing, which is what I like best. It seems like every mascara I've tried recently has failed me in the volumizing department. I like separated lashes and apparently, it's hard to have both separation and volume. Still one of the best mascaras is Maybelline Full 'n' Soft which was the first mascara I had ever bought for myself. It was at the beginning of 10th grade. I kind of eased into life with makeup in that I incrementally added each product to my daily routine. In 7th grade, I used a bit of concealer and powder. It wasn't until 10th grade that I started using mascara. Just to finish the story, I started eyeliner in 11th grade, foundation in the latter part of 11th grade, blush in 12th grade, and makeup setting spray in sophomore year of college. Anyway, I did quite a lot of research for my first tube of mascara. I settled on Maybelline Full 'n' Soft, allured by the alleged natural look it gave. I feel a bit hippie regarding this mascara since I used it before the waterproof version became really popular. I did like Full 'n' Soft mascara very much as it could be built up to become very dark and volumizing. It was also very soft - it really did feel as flexible as my natural lashes. Alas, that mascara smudged on the lower corners of my eyes. It smudges quite atrociously now - probably more so than before. I then used CoverGirl LashBlast Volume, the original orange one. It was good but tended to flake more as it dried up. Then came CoverGirl LashBlast VolumeExact as I mentioned previously. I can't remember exactly what mascaras I used after that. But I remember doing a lot of research for L'Oreal Voluminous (the grey tube) and being quite disappointed. That formula is rather dry, flaky, clumpy, sticky - sort of a mess. It didn't take long for me to give up on it. Researching mascaras has always been something of a mystery to me. It seems that mascara is simultaneously hard to describe and highly variable in the effects it has on different people. Resultantly, reviews aren't always helpful. I've learned that the best way to read mascara reviews is that if most people agree that a mascara clumps, or does nothing, or smudges, then it's probably will have that effect on you too. Or at least it's too much of a risk to try. But that grey area between 60% and 80% approval is really a toss up. The best reviewers describe their own lashes and explain what standards they use to judge mascaras. Some people are completely okay with clumpy, spidery lashes and if they wrote a review, I probably would not find it very helpful. After writing the Mascara Comparison post, having scrutinized my lashes with various mascaras coated on them for a good hour or so, I've noticed some qualities of mascara that might help to describe them better than just "good volume" or "doesn't clump AT ALL". (*Points a guilty finger to self. *) I think that reviewers need a certain level of experience with different mascara formulas to be able to report whether a mascara is relatively more dry or more stiff, etc. I definitely don't claim to be one of these experienced mascara wearers. (After all, I've practically given up on mascara half out of laziness/lack of time in the morning and half out of discouragement in finding the perfect one.) But you might try to notice a couple of these qualities next time you put on your mascara, to see what works on your lashes. I think the qualities really help define what mascara-wearing people are looking for, and the concepts are simple to understand even if being able to rate a mascara is not. Coverage - Does it even cover the entire lash? Does it cover more thickly at the root and taper at the tip (which I think looks better)? This is more of a brush factor combined with how sparse your lashes are. Think about what shape of bristles you prefer, and whether plastic or fiber. I like shorter plastic bristles. If you tend to have more sparse lashes, you want to pay particular attention to the shape and density of the bristles, because what the bristles look like help determine how well they catch your lashes. Smoothness - Smoothness is indicated by whether the mascara coats a lash evenly from root to tip as opposed to bunching up in places, often at the tip or has a jagged surface usually because there are tiny bits of dried mascara in the formula. Thickness - Thickness is similar to smoothness. But smoothness is more about the outline/surface/finish of the mascara. Thickness is about how much mascara formula coats your lashes when the brush combs through it. I suppose it is hard to tell just by looking at your lashes whether your lashes bind easily to formula. Usually the dryness and stickiness of a mascara helps determine Thickness. If you've tried a few different mascaras, and only the very driest and stickiest give you the Thickness you want, then you'll know that the review about the medium wet formula is about a mascara that won't work for you. Shaping - The speed at which a mascara dries is related to how much it holds the shape of your wand motion. Okay okay, let me explain what I mean. For example, if mascara dries very quickly, as you pull your wand straight outwards from root to tip, your lashes will stay straight from root to tip. Other factors that affect how easily you can shape your lashes is the stiffness of the formula, the weight of the formula, and the "weight" of your lashes. If a mascara formula is heavy, it may tend to pull lashes downwards so heavy formulas have a lower Shaping index. -- If your lashes are "light" and curl easily, you may be able to control the direction and shape of your lashes very easily with just a moderately good Shaping mascara. If your lashes are thicker, stiffer, "heavier", you may need a really strong Shaping mascara. I'll give you an illustration of all of this. Suppose Elma's lashes naturally aren't very tame. They don't always align parallel to each other. Furthermore, they are very stiff, but they are also pretty thick and dark so she is not too concerned about Thickness. She will want a strong Shaping mascara so that she can control the shape of her lashes. She should look for something with less Thickness because high Thickness mascaras will only accentuate the clumping that her lashes are prone to, due to the fact that they tend to overlap naturally anyway. Lastly, everyone wants Coverage and Smoothness. (Although someone who doesn't really care about Smoothness may be okay with a mascara that doesn't have it. ...Obviously.) So Elma's going to want to go to a reviewer that knows at least the basic range of mascaras with high and low Coverage, Smoothness, Thickness, and Shaping so that she (or he) can rank the mascara she's reviewing on the scale from low to high for each of these four categories. Then Elma will look for a mascara review that reports high Coverage, high Smoothness, high Shaping, and medium low Thickness. Done! I haven't said anything about length partially because there tends to be agreement on whether something is lengthening or not. Also partially because if your lashes bind well to mascara, then a lot of mascaras will lengthen your lashes, whereas if your lashes don't bind too well, you might want mascara that is rated as highly lengthening and that everyone agrees is lengthening. So there is my unscientific study of mascara. I think that if reviewers and readers use a similar facet-based index, reviews would be a lot more fun and easy to write and they'd be more helpful to read! But if that doesn't happen, at least I hope that this gives you some ideas to figure out how to use your mascara. Perhaps you realized that it has really strong Shaping, so you'll pull it to how it want it to look, instead of wiggling it around and letting it be. 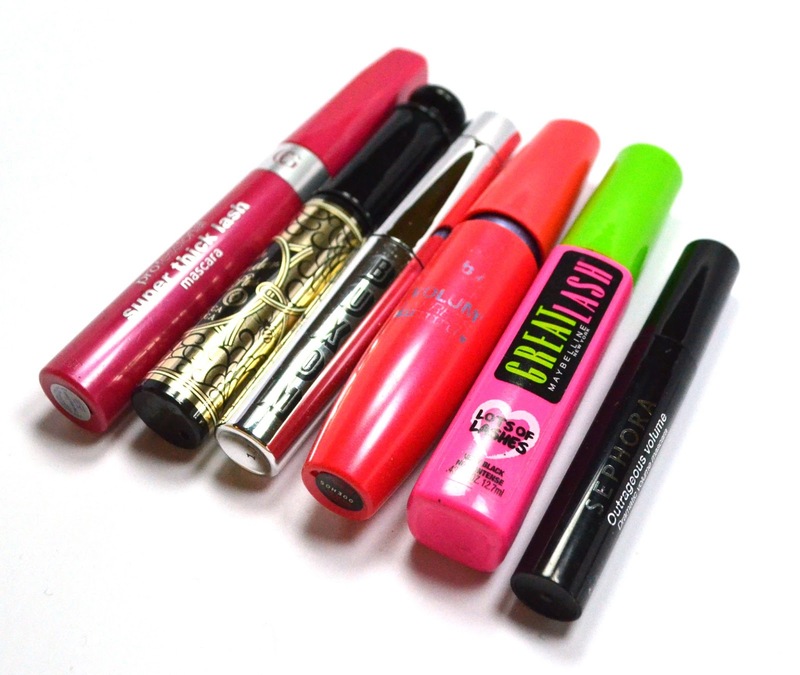 Are there other aspects of mascara that you've noticed? What kind of brush do you like best? How did you get into life with makeup?